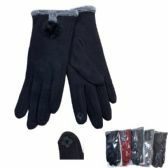 WINTER GLOVES IN BULK: In order to feel comfortable during cold weather you need a great pair of magic gloves. 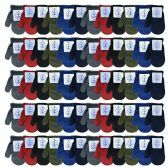 These ones ranging from classic black to bright red can help you to spend winter in safety. 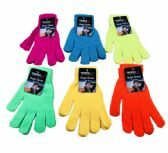 Due to different colors you can choose the gloves that match your overclothes better. 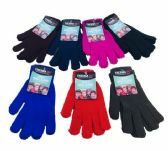 STRETCHY & WARM: Everybody wants their gloves fit perfectly. 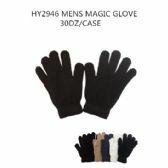 Due to materials containing in our Magic gloves your fingers will feel free and you can be sure that you won't freeze. 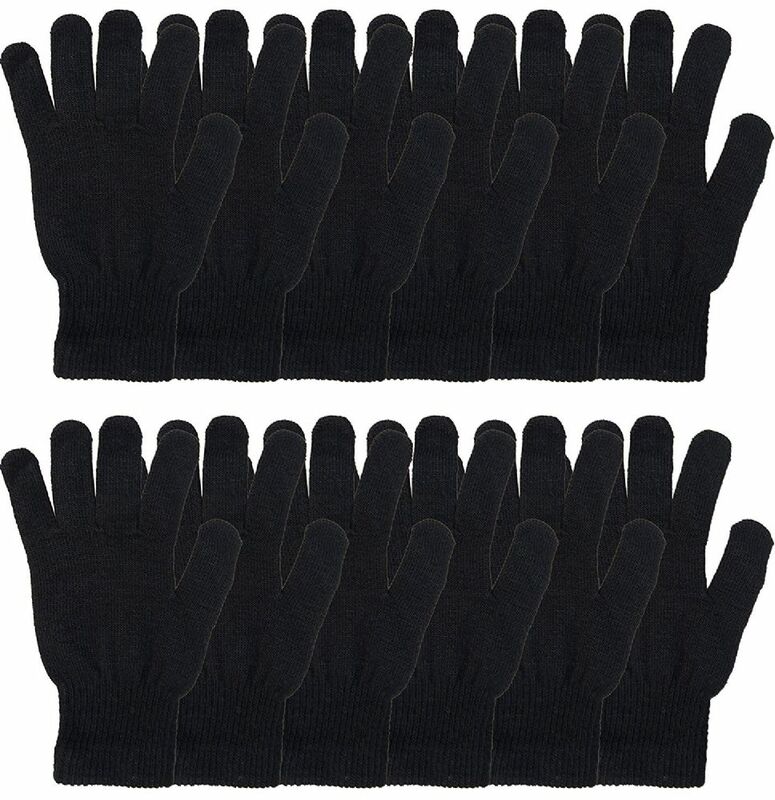 Perfect for the winter time and keeping the hands warm. 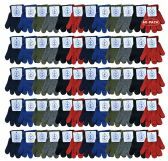 ELASTIC CUFF FOR SNUG FIT: Elastic cuff on the gloves protect your hands from letting the cold in. BKACK GLOVES: Acrylic. 100% acrylic enables soft, warm and a wool-like feel. You don't need to worry about low temperature anymore and you definitely feel comfortable even being outside all day long. Acrylic fiber is also hypoallergenic and resilient to many kinds of damage. CARE: Wash on a delicate regime/wool (low temperature and minimum circulation). Do not spin the product. In order to prevent pills, use a softener.